Warm bone marrow with toast is one of my favourite dishes at Rosenstein Vendeglo in Budapest. Gently rub the toast with the pickled garlic clove, crush the marrow onto the toast, sprinkle with paprika and a little salt and enjoy (preferably with a glass of kekfrankos). Chicken soup with everything. Corn fed chicken gives a natural yellow hue to our chicken soup (we don’t condone cheating with a pinch of saffron). This soup contains, chicken meat, celery and carrot battens along with our home made matzo balls, kreplach (triangular ravioli filled with chicken liver and chives), crispy soup mandel crackers and home made egg noodles. 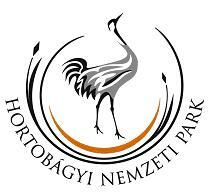 The Hortobagy is a national park on the Great Hungarian Plain in eastern Hungary, These savoury pancakes are a recent Hungarian culinary creation, first becoming popular with East German tourists in the 70s and 80s. Roast duck leg with red cabbage is another classic Hungarian combination that is best enjoyed with a glass of kekfrankos. Raising ducks and geese was a trade synonymous with Jewish people in Hungary and elsewhere in Eastern Europe. This dish is an autumnal tradition, the remaining meat and liver is preserved in its own fat for winter consumption, the neck is stuffed, the skin turned into crackling and finally the carcass is made into soup. Hake goujons with a side salad is an adaptation of another of Tibor Rosenstein’s dishes. At Rosenstein’s it is made with fogas (pike perch or zander) a freshwater fish. Here we make it with Hake. The crisp almonds neatly complement both the fish and the plainly dressed salad. Try it with a chilled glass of Wien1. Romanian steak is actually a New York City inspired dish. In New York skirt steak is also known as Roumanian (sic) steak because it was a cut eaten a lot by Romanian Jewish immigrants. We serve it seasoned with olive oil and fresh herbs accompanied by potatoes sauteed in goose fat.